Before we know it, the residents of our Denver, CO, apartments will be heading to rooftop happy hours and imbibing in half-price appetizers on patios all over the city. We don't think you should wait for warmer weather to start sipping on spring-inspired cocktails. Here are a few recipes that are perfect for this time of year, and you can make them right in the comfort of your own home! Soft peach colors and bright grapefruit flavors come together in a nontraditional twist on mojitos. Fresh mint sprigs stick to the standard idea of a mojito, but the grapefruit juice adds a fun way to experience the fruitiness of spring. Try the recipe! 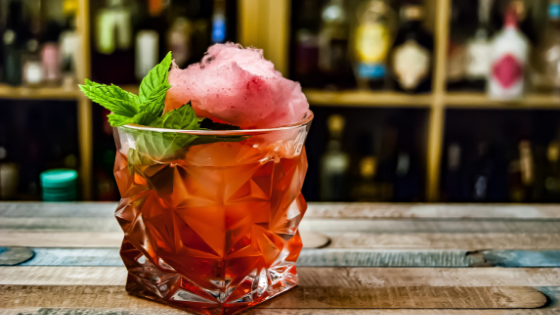 Pay homage to your downtown Denver dwelling with a cocktail that's named for city living. The Concrete Junglebird is a tropical mix of island flavors that pair perfectly alongside some fancy appetizers when you're throwing a dinner soiree. This cocktail requires some unconventional ingredients, so you might need to do a little research before you start mixing stuff in your shaker. Try the recipe! Palomas are tequila's answer to the infamous bottomless brunch classic. Make sure you use a high-quality tequila to avoid unwanted aftertastes. Reposado tequila and agave syrup really make an awesome couple when you're ready for a wake-me-up drink that's fit for spring. Try the recipe! Spicy cocktails are excellent accompaniments to home-cooked entrees that impart a bit of zest. They also work well if you're just doing a few appetizers because they tend to speak for themselves. This recipe gives you the power to make your margaritas from scratch, which adds an extra "wow factor" if you're having guests over. Try the recipe! Since spring is the season when strawberries start to make their most remarkable mark on the world, it only makes sense to include a cocktail that incorporates this delectable fruit. Paired with white rum and lime juice, this fun cocktail is great for after-work relaxation. Try the recipe! If you want to live in an apartment that's walkable to some of the best cocktail spots in Denver, we've got you covered. Swing by The Apartments at Denver Place for a personalized tour of some of the best views in the Mile High City!